Saturday is Valentine's Day, that crazy time of year where everyone is all hearts and flowers and chocolate and LOVE and stuff. And what says love more than DOGS? 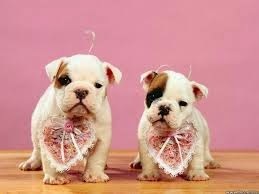 Especially cute dogs doing Valentine's Day things? All my fellow bloggers are doing it. I'm seeing all these special Valentine's Day doggy treats, and special arts and crafts and games for doggies and lots of pictures with hearts and flowers and it's all... soooooooooo... CUTE. I admit I have never been one for Valentine's Day. And the whole making your dog join the lovey dovey stuff is just another way we anthropomorphize our pets because we like them better than humans. Not that I do that AT ALL, said the woman who takes her dog out for breakfast on her birthday, and here's Lulu eating a biscuit. 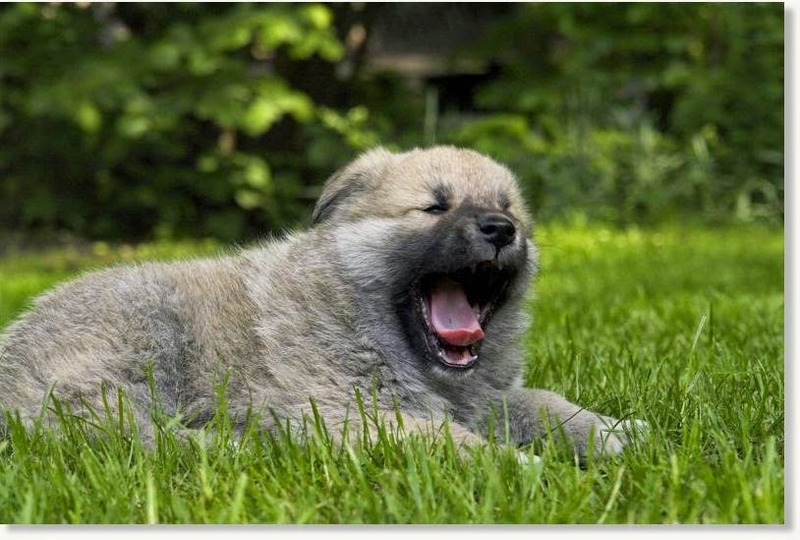 Here are some dogs who might just feel the same way. 1. 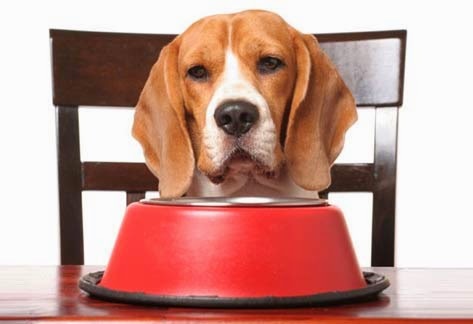 What this dog thinks of your special Valentine's Day doggy dinner. "Oh, you bought me the SPECIAL kibble. Thanks." 2. 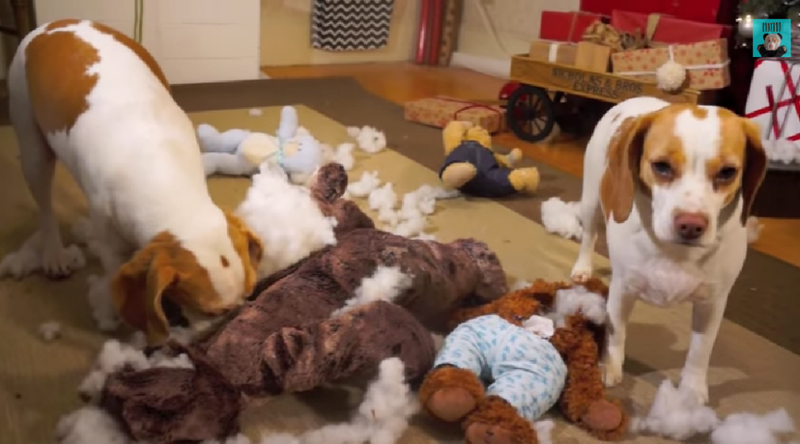 What Maymo and Penny think of your Vermont Teddy Bears. Courtesy Maymo the Lemon Beagle. 3. 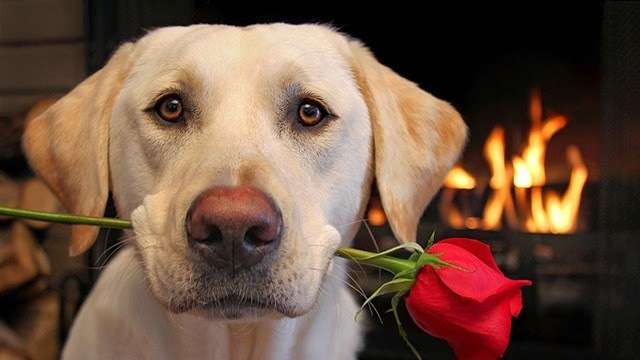 What this dog is thinking about your special Valentine's Day treat for them. "I Just get the bone? 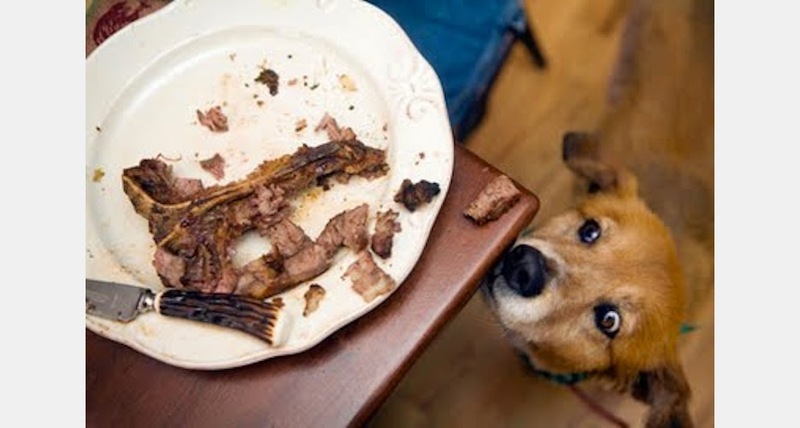 You couldn't spare me the steak too?" 4. 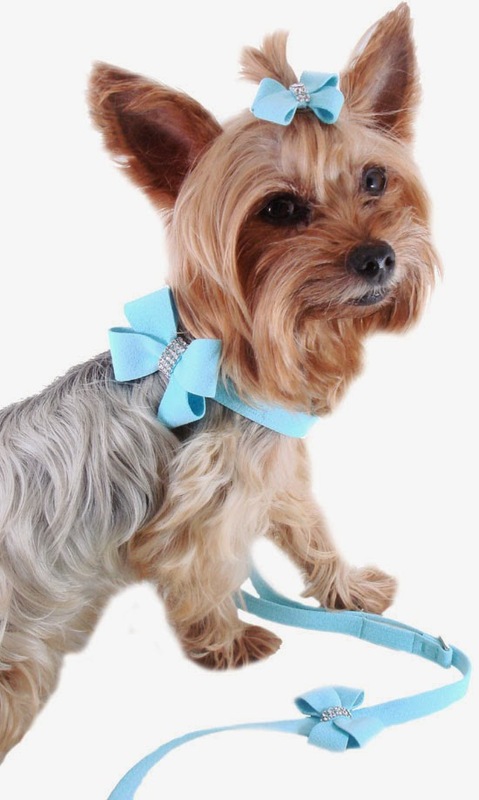 What this dog thinks of that fancy new collar you bought. "Oh, it's Tiffany box-colored, not actually something from Tiffany..."
5. 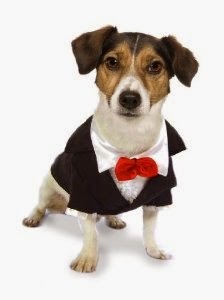 What this dog thinks of that fancy tuxedo. "I'm just getting dressed up for this picture?" 6. What this dog thinks of the Valentine's Day date locale. "The park again? How unoriginal." 7. What this dog really thinks about being made to pose for this romantic gesture to your significant other. "You best be replacing this rose with a bone." 8. What this dog really thinks about this "kiss" lipstick smudge shirt. "What was wrong with this lady's lips?" 9. What these dogs really think about these silly hearts. "We hope you're coming to US for pets because we can't walk with these stupid things." 10. And finally, my own Lulu. I bought her a new toy, a stuffed champagne bottle. I requested it special from the store. I thought it was cute, and Lulu can't resist a squeaker. Plus, every time she walked into a room with it I could quote "Absolutely Fabulous" ("Champagne, champagne for Lulu!"). But, no. Unimpressed Lulu was unimpressed. Oh well. Happy Valentine's Day to those more romantic at heart. BOL!!! Great post! The look on LuLu's face is priceless! Thanks, I was hoping people would enjoy it!